The project was approved in 2002 by the 107th United States Congress, but federal funding for the site ended in 2011 under the Obama Administration via amendment to the Department of Defense and Full-Year Continuing Appropriations Act, passed on April 14, 2011. The project has encountered many difficulties and was highly contested by the non-local public, the Western Shoshone peoples, and many politicians. The project also faces strong state and regional opposition. The Government Accountability Office stated that the closure was for political, not technical or safety reasons. This leaves American utilities and the United States government, which currently disposes of its transuranic waste 2,150 feet (660 m) below the surface at the Waste Isolation Pilot Plant in New Mexico, without any designated long-term storage site for the high-level radioactive waste stored on site at various nuclear facilities around the country. Under President Barack Obama the Department of Energy (DOE) was reviewing options other than Yucca Mountain for a high-level waste repository. The Blue Ribbon Commission on America's Nuclear Future, established by the Secretary of Energy, released its final report in January 2012. It detailed an urgent need to find a site suitable for constructing a consolidated, geological repository, stating that any future facility should be developed by a new independent organization with direct access to the Nuclear Waste Fund, which is not subject to political and financial control as the Cabinet-level Department of Energy is. Under President Donald Trump, the DOE has ceased deep borehole and other non-Yucca Mountain waste disposition research activities. For FY18, DOE had requested $120 million and the NRC $30 million from Congress to continue licensing activities for the Yucca Mountain Repository. For FY19, DOE has again requested $120 million but the NRC has increased their request to $47.7 million. Congress has decided to provide no funding for the remainder of FY18. In the meantime, most nuclear power plants in the United States have resorted to the indefinite on-site dry cask storage of waste in steel and concrete casks. The DOE began studying Yucca Mountain in 1978 to determine whether it would be suitable for the nation's first long-term geologic repository for over 70,000 metric tons (69,000 long tons; 77,000 short tons) (150 million pounds) of spent nuclear fuel and high-level radioactive waste as of 2015[when?] stored at 121 sites around the nation. An estimated 10,000 metric tons (9,800 long tons; 11,000 short tons) of the waste would be from America's military nuclear programs. On December 19, 1984, the DOE selected ten locations in six states for consideration as potential repository sites, based on data collected for nearly ten years. The ten sites were studied and results of these preliminary studies were reported in 1985. Based on these reports, President Ronald Reagan approved three sites for intensive scientific study called site characterization. The three sites were Hanford, Washington; Deaf Smith County, Texas; and Yucca Mountain. In 1987, Congress amended the Nuclear Waste Policy Act and directed DOE to study only Yucca Mountain, which is located adjacent to the former nuclear test site. The Act provided that if during site characterization the Yucca Mountain location was found unsuitable, studies would be stopped immediately. This option expired when the site was actually recommended by the President. On July 23, 2002, President George W. Bush signed House Joint Resolution 87, (Pub.L. 107–200) allowing the DOE to take the next step in establishing a safe repository in which to store the country's nuclear waste. 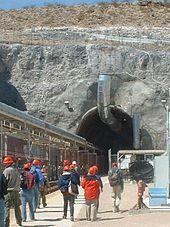 The DOE was to begin accepting spent fuel at the Yucca Mountain Repository by January 31, 1998 but did not do so because of a series of delays due to legal challenges, concerns over how to transport nuclear waste to the facility, and political pressures resulting in underfunding of the construction. On July 18, 2006 the DOE proposed March 31, 2017 as the date to open the facility and begin accepting waste based on full funding. On September 8, 2006 Ward (Edward) Sproat, a nuclear industry executive formerly of PECO energy in Pennsylvania, was nominated by President Bush to lead the Yucca Mountain Project. Following the 2006 mid-term Congressional elections, Democratic Nevada Senator Harry Reid, a longtime opponent of the repository, became the Senate Majority Leader, putting him in a position to greatly affect the future of the project. Reid has said that he would continue to work to block completion of the project, and is quoted as having said: "Yucca Mountain is dead. It'll never happen." In the 2008 Omnibus Spending Bill, the Yucca Mountain Project's budget was reduced to $390 million. The project was able to reallocate resources and delay transportation expenditures to complete the License Application for submission on June 3, 2008. During his 2008 presidential campaign, President Barack Obama promised to abandon the Yucca Mountain project. As a result, Senator Reid moved the Nevada primary to help President Obama's campaign. After his election, the Nuclear Regulatory Commission told President Obama he did not have the ability to do so. On April 23, 2009, Lindsey Graham (R-South Carolina) and eight other senators introduced legislation to provide "rebates" from a $30 billion federally managed fund into which nuclear power plants had been paying, so as to refund all collected funds if the project was in fact cancelled by Congress. Lacking an operating repository, the federal government initially paid utility companies somewhere between $300 and $500 million per year in compensation for failing to comply with the contract it signed to take the spent nuclear fuel by 1998. For the ten years after 2015 it is estimated to cost taxpayers $24 billion in payments from the Judgment Fund. The Judgment Fund is not subject to budget rules and allows Congress to ignore the nuclear waste issue since payments therefrom do not have any impact on yearly spending for other programs. The purpose of the Yucca Mountain project is to comply with the Nuclear Waste Policy Act of 1982 and develop a national site for spent nuclear fuel and high-level radioactive waste storage. The management and operating contractor as of April 1, 2009 for the project is USA Repository Services (USA-RS), a wholly owned subsidiary of URS Corporation (now part of AECOM) with supporting principal subcontractors Shaw Corporation (now part of McDermott International Inc.) and Areva Federal Services LLC (now Orano federal services business). After the layoff of 800 employees on March 31, 2009, about 100 employees remained on the project until all technical staff were laid off by the end of FY 2010 due to zero funding in the 2011 budget for the Office of Civilian Radioactive Waste Management. Sandia National Laboratories had the responsibility for post closure analysis and ensuring compliance with the NWPA. The main tunnel of the Exploratory Studies Facility is U-shaped, 5 mi (8.0 km) long and 25 ft (7.6 m) wide. There are also several cathedral-like alcoves that branch from the main tunnel. It is in these alcoves that most of the scientific experiments were conducted. The emplacement drifts (smaller diameter tunnels branching off the main tunnel) where waste would have been stored were not constructed since they required a construction authorization by the Nuclear Regulatory Commission. The repository has a statutory limit of 77,000 metric tons (85,000 short tons). To store this amount of waste would have required 40 miles (64 km) of tunnels. The Nuclear Waste Policy Act further limits the capacity of the repository to 63,000 metric tons (62,000 long tons; 69,000 short tons) of initial heavy metal in commercial spent fuel. The 104 U.S. commercial reactors currently operating will produce this quantity of spent fuel by 2014, assuming that the spent fuel rods are not reprocessed. Currently, the US has no civil reprocessing plant. By 2008, Yucca Mountain was one of the most studied pieces of geology in the world; between geologic studies and materials science the United States had invested US$9 billion on the project. This site studied by the Nevada Bureau of Mines and Geology (NBMG) differs substantially from other potential repositories due to the finding of natural analogues of nuclear material that are currently being studied. The DOE estimates that it has over 100 million U.S. gallons of highly radioactive waste and 2,500 metric tons (2,800 short tons) of spent fuel from the production of nuclear weapons and from research activities in temporary storage. The cost of the facility is being paid for by a combination of a tax on each kilowatt hour of nuclear power and by the taxpayers for disposal of weapons and naval nuclear waste. Based on the 2001 cost estimate, approximately 73 percent is funded from consumers of nuclear-powered electricity and 27 percent by the taxpayers. The Total System Life Cycle Cost presented to Congress on July 15, 2008 by Director Sproat was $90 billion. This cost, could not be compared to previous estimates since it included a repository capacity about twice as large as previously estimated over a much longer period of time (100 years vs 30 years). Additionally, the cost of the project continued to escalate because of insufficient funding to most efficiently move forward and complete the project. By 2007, the DOE announced it was seeking to double the size of the Yucca Mountain repository to a capacity of 135,000 metric tons (149,000 short tons), or 300 million pounds. The DOE was scheduled to begin accepting spent fuel at the Yucca Mountain repository by January 31, 1998. As of 2010[update], years after this deadline, the future status of the repository at Yucca Mountain was still unknown due to on-going litigation, and opposition by Senator Harry Reid. Because of construction delays, a number of nuclear power plants in the United States have resorted to dry cask storage of waste on-site indefinitely in steel and concrete casks. The project is widely opposed in Nevada and is a hotly debated national topic. A two-thirds majority of Nevadans feel it is unfair for their state to have to store nuclear waste when there are no nuclear power plants in Nevada. Many Nevadans' opposition stemmed from the so-called "Screw Nevada Bill," the 1987 legislation halting study of Hanford and Texas as potential sites for the waste before conclusions could be made. 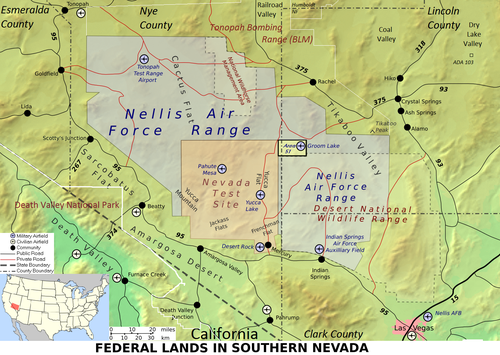 The local county in which the proposed facility is located, Nye County, supports the development of the repository as do six adjoining counties. A 2015 survey of Nevadans found 55% agreeing that the state should be open to having a discussion on what benefits could be received. One point of concern has been the standard of radiation emission from 10,000 years to 1,000,000 years into the future. On August 9, 2005, the United States Environmental Protection Agency proposed a limit of 350 millirem per year for that period. In October 2007, the DOE issued a draft of the Supplemental Environmental Impact Statement in which it shows that for the first 10,000 years mean public dose would be 0.24 mrem/year and that thereafter to 1,000,000 years the median public dose would be 0.98 mrem/year, both of which are substantially below the proposed EPA limit. For comparison, a hip x-ray results in a dose around 83 mrem and a CT head or chest scan results in around 1,110 mrem. Annually, in the United States, an individual's doses from background radiation is about 350 mrem, although some places get more than twice that. On February 12, 2002, U.S. Secretary of Energy Spencer Abraham made the decision that this site was suitable to be the nation's nuclear repository. The governor of Nevada had 90 days to object and did so. However, the United States Congress overrode the objection. If the governor's objection had stood the project would have been abandoned and a new site chosen. In August 2004, the repository became an election issue, when Senator John Kerry (D) said that he would abandon the plans if elected. On January 18, 2006, DOE OCRWM announced that it would designate Sandia National Laboratories as its lead laboratory to integrate repository science work for the Yucca Mountain Project. "We believe that establishing Sandia as our lead laboratory is an important step in our new path forward. The independent, expert review that the scientists at Sandia will perform will help ensure that the technical and scientific basis for the Yucca Mountain repository is without question," OCRWM's Acting Director Paul Golan said. "Sandia has unique experience in managing scientific investigations in support of a federally licensed geologic disposal facility, having served in that role as the scientific advisor to the Waste Isolation Pilot Plant in Carlsbad, New Mexico." Sandia began acting as the lead laboratory on October 1, 2006. Because of questions raised by the State of Nevada and Congressional members about the quality of the science behind Yucca Mountain, the DOE announced on March 31, 2006 the selection of Oak Ridge Associated Universities/Oak Ridge Institute for Science and Education (a not-for-profit consortium that includes 96 doctoral degree-granting institutions and 11 associate member universities) to provide expert reviews of scientific and technical work on the Yucca Mountain Project. DOE stated that the Yucca Mountain Project "will be based on sound science. By bringing in Oak Ridge for review of technical work, DOE will seek to present a high level of expertise and credibility as they move the project forward ... This award gives DOE access to academic and research institutions to help DOE meet their mission and legal obligation to license, construct, and open Yucca Mountain as the nation's repository for spent nuclear fuel." The costly nuclear accident in 2014 at New Mexico's Waste Isolation Pilot Plant in which a nuclear waste container exploded, has caused doubt that it could serve as an alternative for Yucca. A tunnel inside the Exploratory Studies Facility. Shortly after the EPA first established these standards in 2001, the nuclear industry, several environmental and public interest groups, and the State of Nevada challenged the standards in court. In July 2004, the Court of Appeals for the District of Columbia Circuit found in favor of the Agency on all counts except one: the 10,000 year regulatory time frame. The court ruled that EPA's 10,000-year compliance period for isolation of radioactive waste was not consistent with National Academy of Sciences (NAS) recommendations and was too short. The NAS report had recommended standards be set for the time of peak risk, which might approach a period of one million years. By limiting the compliance time to 10,000 years, EPA did not respect a statutory requirement that it develop standards consistent with NAS recommendations. For the first 10,000 years, the EPA would retain the 2001 final rule's dose limit of 15 millirem per year. This is protection at the level of the most stringent radiation regulations in the U.S. today. From 10,000 to one million years, EPA established a dose limit of 100 millirem per year. EPA's rule requires the Department of Energy to show that Yucca Mountain can safely contain wastes, considering the effects of earthquakes, volcanic activity, climate change, and container corrosion, over one million years. The current analysis indicates that the repository will cause less than 1 mrem/year public dose through 1,000,000 years. The formation that makes up Yucca Mountain was created by several large eruptions from a caldera volcano and is composed of alternating layers of ignimbrite (welded tuff), non-welded tuff, and semi-welded tuff. The tuff surround the burial sites is expected to protect human health as it provides a natural barrier to the radiation. It lies along the transition between the Mojave and the Great Basin Deserts. The volcanic tuff at Yucca Mountain is appreciably fractured and movement of water through an aquifer below the waste repository is primarily through fractures. While the fractures are usually confined to individual layers of tuff, the faults extend from the planned storage area all the way to the water table 600 to 1,500 ft (180 to 460 m) below the surface. Future water transport from the surface to waste containers is likely to be dominated by fractures. There is evidence that surface water has been transported down through the 700 ft (210 m) of overburden to the exploratory tunnel at Yucca Mountain in less than 50 years. Some site opponents assert that, after the predicted containment failure of the waste containers, these cracks may provide a route for movement of radioactive waste that dissolves in the water flowing downward from the desert surface. Officials state that the waste containers will be stored in such a way as to minimize or even nearly eliminate this possibility. The area around Yucca Mountain received much more rain in the geologic past and the water table was consequently much higher than it is today, though well below the level of the repository. Nevada ranks fourth in the nation for current seismic activity. Earthquake databases (the Council of the National Seismic System Composite Catalogue and the Southern Great Basin Seismic Network) provide current and historical earthquake information. Analysis of the available data in 1996 indicates that, since 1976, there have been 621 seismic events of magnitude greater than 2.5 within a 50-mile (80 km) radius of Yucca Mountain. DOE has stated that seismic and tectonic effects on the natural systems at Yucca Mountain will not significantly affect repository performance. Yucca Mountain lies in a region of ongoing tectonic deformation, but the deformation rates are too slow to significantly affect the mountain during the 10,000-year regulatory compliance period. Rises in the water table caused by seismic activity would be, at most, a few tens of meters and would not reach the repository. The fractured and faulted volcanic tuff that Yucca Mountain comprises reflects the occurrence of many earthquake-faulting and strong ground motion events during the last several million years, and the hydrological characteristics of the rock would not be changed significantly by seismic events that may occur in the next 10,000 years. The engineered barrier system components will reportedly provide substantial protection of the waste from seepage water, even under severe seismic loading. In September 2007, it was discovered that the Bow Ridge fault line ran underneath the facility, hundreds of feet east of where it was originally thought to be located, beneath a storage pad where spent radioactive fuel canisters would be cooled before being sealed in a maze of tunnels. The discovery required several structures to be moved several hundred feet further to the east, and drew criticism from Robert R. Loux, then head of the Nevada Agency for Nuclear Projects, who argues that Yucca administrators should have known about the fault line's location years prior, and called the movement of the structures "just-in-time engineering." In June 2008, a major nuclear equipment supplier, Holtec International, criticized the Department of Energy's safety plan for handling containers of radioactive waste before they are buried at the proposed Yucca Mountain dump. The concern is that, in an earthquake, the unanchored casks of nuclear waste material awaiting burial at Yucca Mountain could be sent into a "chaotic melee of bouncing and rolling juggernauts". The nuclear waste was planned to be shipped to the site by rail and/or truck in robust containers known as spent nuclear fuel shipping casks, approved by the Nuclear Regulatory Commission. While the routes in Nevada would have been public, in the other states the planned routes, dates and times of transport would have been secret for security reasons. State and tribal representatives would have been notified before shipments of spent nuclear fuel entered their jurisdictions. Within Nevada, the planned primary mode of transportation was via rail through the Caliente Corridor. This corridor starts in Caliente, Nevada, traveling along the northern and western borders of the Nevada Test Site for approximately 200 miles (320 km). At this point, it turns south. Other options that were being considered included a rail route along the Mina corridor. This rail route would have originated at the Fort Churchill Siding rail line, near Wabuska. The proposed corridor would have proceeded southeast through Hawthorne, Blair Junction, Lida Junction and Oasis Valley. At Oasis Valley, the rail line would have turned north-northeast towards Yucca Mountain. Use of this rail corridor by the Department of Energy would have required permission from the Walker River Paiute Tribe in order to cross their land. 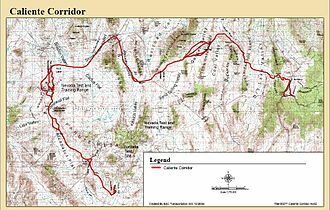 As the first 54 miles (87 km) of the proposed corridor was owned by the Department of Defense, additional permission from the DoD would have to have been granted. Since the early 1960s, the U.S. has safely conducted more than 3,000 shipments of spent nuclear fuel without any harmful release of radioactive material. This safety record is comparable to the worldwide experience where more than 70,000 metric tons of spent nuclear fuel have been transported since 1970 – an amount approximately equal to the total amount of spent nuclear fuel that would have been shipped to Yucca Mountain. However, cities were still concerned about the transport of radioactive waste on highways and railroads that may have passed through heavily populated areas. Dr. Robert Halstead, who was a transportation adviser to the state of Nevada since 1988, stated regarding transportation of the high level waste, "They would heavily affect cities like Buffalo, Cleveland, Pittsburgh, in the Chicago metropolitan area, in Omaha." "Coming out of the south, the heaviest impacts would be in Atlanta, in Nashville, St. Louis, Kansas City, moving across through Salt Lake City, through downtown Las Vegas, up to Yucca Mountain. And the same cities would be affected by rail shipments as well." Spencer Abraham (DOE) on the other hand has stated, "I think there's a general understanding that we move hazardous materials in this country, an understanding that the federal government knows how to do it safely." 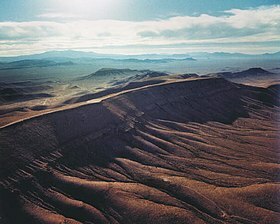 Archaeological surveys have found evidence that Native Americans used the immediate vicinity of Yucca Mountain on a temporary or seasonal basis. Some Native Americans disagree with the conclusions of archaeological investigators that their ancestors were highly mobile groups of hunter-gatherers who occupied the Yucca Mountain area before Euroamericans began using the area for prospecting, surveying, and ranching. They believe that these conclusions overlook traditional accounts of farming that occurred before European contact. Starting in 2009, the Obama administration attempted to close the Yucca Mountain repository, despite current US law that designates Yucca Mountain as the nation's nuclear waste repository. The administration agency, DOE, began implementation of the President's plan in May 2009. The Nuclear Regulatory Commission also went along with the administration's closure plan. Various state and Congressional entities attempted to challenge the administration's closure plans, by statute and in court. Most recently, in August 2013, a US Court of Appeals decision told the NRC and the Obama administration that they must either "approve or reject the Energy Department's application for [the] never-completed waste storage site at Nevada's Yucca Mountain." They cannot simply make plans for its closure in violation of US law. Some of the waste is already vitrified. There is, in my mind, no economical reason why you would ever think of pulling it back into a potential fuel cycle. So one could well imagine—again, it depends on what the blue-ribbon panel says—one could well imagine that for a certain classification for a certain type of waste, you don't want to have access to it anymore, so that means you could use different sites than Yucca Mountain, such as salt domes. Once you put it in there, the salt oozes around it. These are geologically stable for a 50 to 100 million year time scale. The trouble with those type of places for repositories is you don't have access to it anymore. But say for certain types of waste you don't want to have access to it anymore—that's good. It's a very natural containment. ... whereas there would be other waste where you say it has some inherent value, let's keep it around for a hundred years, two hundred years, because there's a high likelihood we'll come back to it and want to recover that. So the real thing is, let's get some really wise heads together and figure out how you want to deal with the interim and long-term storage. Yucca was supposed to be everything to everybody, and I think, knowing what we know today, there's going to have to be several regional areas. In 2008, the U.S. Senate Committee on Environmental and Public Works found that failure to perform to contractual requirements could cost taxpayers up to $11 billion by 2020. In 2013 this estimate of taxpayer liability was raised to $21 billion. In July 2009, the House of Representatives voted 388 to 30 on amendments to HHR3183 (Roll call vote 591, via Clerk.House.gov) to not defund the Yucca Mountain repository in the FY2010 budget. In 2013, the House of Representatives voted twice during the 2014 Energy and Water Appropriations debate by over 80% majority to reject elimination of Yucca Mountain as the nation's only nuclear waste solution. On April 13, 2010, the state of Washington filed suit to prevent the closing of Yucca Mountain, since this would slow efforts to clean up Hanford Nuclear Reservation. South Carolina, Aiken County (the location of Savannah River site) and others joined Washington. The United States Court of Appeals for the District of Columbia Circuit dismissed the suit in July 2011, saying the Nuclear Regulatory Commission had not ruled on the withdrawal of the license application. Washington and South Carolina filed another lawsuit on July 29. With $32 billion received from power companies to fund the project, and $12 billion spent to study and build it, the federal government had $27 billion left, including interest. In March 2012, Senator Lindsey Graham introduced a bill requiring three-fourths of that money to be given back to customers, and the remainder to the companies for storage improvements. In August 2013, the U.S. Court of Appeals for the District of Columbia ordered the Nuclear Regulatory Commission to either "approve or reject the Energy Department's application for [the] never-completed waste storage site at Nevada's Yucca Mountain." The court opinion said that the NRC was "simply flouting the law" in its previous action to allow the Obama administration to continue plans to close the proposed waste site since a federal law designating Yucca Mountain as the nation's nuclear waste repository remains in effect. The court opinion stated that "The president may not decline to follow a statutory mandate or prohibition simply because of policy objections." In response, NRC issued the final volumes of the Yucca Mountain Safety Evaluation Report (SER), this presented the NRC staff's statement that the site would meet all applicable standards. At the same time, the staff also stated that NRC should not authorize actual construction of the repository until the requirements for land and water rights were met and a supplement to DOE's environmental impact statement (EIS) was finished. On March 3, 2015, NRC ordered the staff to complete the supplemental EIS and make the Yucca Mountain licensing document database publicly available, using all the remaining previously appropriated licensing funds. In March, 2015 the Nuclear Waste Administration Act of 2015 (S854) was introduced in the U.S. Senate. Its was intended to establish a fully independent Nuclear Waste Administration (NWA) which would develop nuclear waste storage and disposal facilities. Construction of such facilities would require the consent of the state, local, and tribal governments which may be affected. The NWA would be required to complete a mission plan to open a pilot storage facility by 2021 for nuclear waste from non-operating reactors and other "emergency" deliveries (called "priority waste"). The goal would be to have a storage facility for waste from operating reactors or other "non-priority waste" available by 2025, and an actual permanent repository by the end of 2048. The current disposal limit of 70,000 metric tons for the nation's initial permanent repository would be repealed. Any nuclear waste fees collected after S854 was enacted would be held in a newly established Working Capital Fund. The Nuclear Waste Administration would be allowed to draw from that fund any amounts needed to carry out S.854, unless limited by annual appropriations or authorizations. The Nuclear Waste Fund had $42.4 billion at the end of FY15, $46.0 billion at the end of FY16, and $44.5 billion on 9/30/17 projecting as of the midpoint of FY18 a balance of probably less than $42 billion due to rising interest rates lowering the value of investments. ^ a b "Nuclear waste repository safe for future generations". 1663 LANL Sci/Tech Maganize. December 2008. Retrieved September 19, 2010. ^ "GAO: Death of Yucca Mountain Caused by Political Maneuvering". New York Times. May 9, 2011. ^ Lee H. Hamilton, Brent Scowcroft (January 2012). "Blue Ribbon Commission on America's Nuclear Future Final Report" (PDF). Archived from the original (PDF) on August 7, 2012. Retrieved October 25, 2012. ^ a b "NRC: Locations of Independent Spent Fuel Storage Installations". U.S. Nuclear Regulatory Commission. October 15, 2009. Archived from the original on May 27, 2010. Retrieved July 13, 2010. ^ "What are spent nuclear fuel and high-level radioactive waste?". Office of Civilian Radioactive (OCRWM), U.S. Department of Energy. July 2007. Archived from the original on June 14, 2008. Retrieved August 26, 2008. ^ "Nuclear Waste Policy Act, as amended". Office of Civilian Radioactive Waste Management (OCRWM), U.S. Department of Energy. March 2004. Archived from the original on May 14, 2008. Retrieved May 16, 2008. ^ Culler, Floyd L. 1957. Status report on the disposal of radioactive wastes. Oak Ridge, TN: Oak Ridge National Laboratory. ^ "Faff and Fallout." The Economist 1 Aug 2015: 23. Print. ^ Michael J. Kolar (August 15, 2001). "Midweek Perspectives: Waste that won't go away". Pittsburgh Post-Gazette. ^ "President Signs Yucca Mountain Bill". Office of the Press Secretary, White House. July 23, 2002. Retrieved May 16, 2008. ^ Lando, Ben (December 4, 2006). "Analysis: Reid's Yucca and nuke waste plan". United Press International. Archived from the original on May 8, 2008. Retrieved May 16, 2008. ^ "US election: Questioning the candidates". Nature. September 24, 2008. Retrieved September 24, 2008. ^ "Bill to liquidate the Nuclear Waste Fund". World Nuclear News. April 27, 2009. Retrieved June 9, 2010. ^ "Court orders halt to nuclear waste fees". World Nuclear News. November 20, 2013. Retrieved November 20, 2013. ^ "Delay on Yucca Mountain Waste Site Could Cost Taxpayers Billions". Associated Press. July 12, 2004. Archived from the original on October 18, 2007. Retrieved May 16, 2008. ^ Erin Neff (April 16, 2006). "Erin Neff: The arbitrary science of Yucca Mountain". Las Vegas Review-Journal. ^ Peterson, Per F. (Fall 2003). "Will the United States Need a Second Geologic Repository?". United States National Academy of Engineering. Archived from the original on March 21, 2008. Retrieved May 16, 2008. ^ "References cited by U.S. Department of Energy for Yucca Mountain License Application". United States Nuclear Regulatory Commission. March 29, 2012. Retrieved March 7, 2014. ^ McCright, R. Daniel (April 1, 1997). "Engineered Materials Characterization Report for the Yucca Mountain Site Characterization Project: Volume 3 Revision 1" (PDF). Lawrence Livermore National Laboratory. Retrieved March 7, 2014. ^ "Who pays for Yucca Mountain?". Yucca Mountain Repository, U.S. Dept. of Energy. Archived from the original on August 22, 2008. Retrieved May 16, 2008. ^ Castor, Stephen. "Volcanic Rock Hosted Deposits in Northern Nevada". citeseerx.ist.psu.edu. University of Nevada Reno. Retrieved September 19, 2016. ^ "Nuclear Waste: Technical, Schedule, and Cost Uncertainties of the Yucca Mountain Repository Project" (PDF). United States General Accounting Office. December 2001. Retrieved May 16, 2008. ^ "Analysis of the Total System Life Cycle Cost of the Civilian Radioactive Waste Management Program" (PDF). OCRWM, DoE. May 2001. Archived from the original (PDF) on May 29, 2008. Retrieved May 16, 2008. ^ Tetreault, Steve (October 5, 2007). "Agency studies nearly doubling nuclear waste capacity". Las Vegas Review-Journal. Retrieved May 16, 2008. ^ Benjamin Grove (March 6, 2006). "Getting to the bottom of Yucca Mountain". Las Vegas Sun. ^ a b "FY2010 Energy Budget Shuts Yucca Mountain Nuclear Dump". Environment News Service. May 8, 2009. Retrieved June 9, 2010. ^ Steve Tetreault (March 9, 2012). "Nye officials give consent to burying nuke waste". Las Vegas Review Journal. Stephens Media LLC. Retrieved December 22, 2014. ^ "Environmental Protection Agency's Proposed Rule on Repository for High-Level Radioactive Waste Would Seriously Undermine Public Health". Institute for Energy and Environmental Research (IEER). August 9, 2005. Retrieved May 16, 2008. ^ "Draft Supplemental Yucca Mountain Repository EIS". U.S. DOE. January 2008. Archived from the original (links to PDFs) on January 5, 2008. Retrieved May 16, 2008. ^ "Statutory Materials Supporting the Recommendation". Yucca Mountain Repository, U.S. DOE. Archived from the original on January 26, 2008. Retrieved May 16, 2008. ^ a b c "Yucca Mountain: The Most Studied Real Estate on the Planet" (PDF). U.S. Senate Committee on Environment and Public Works. March 2006. Retrieved May 16, 2008. ^ "OCRWM Selects Sandia as Lead Laboratory". U.S. DoE. January 18, 2006. Archived from the original on July 15, 2007. Retrieved May 16, 2008. ^ "What's Wrong With Putting Nuclear Waste in Yucca Mountain?" (PDF). The Agency for Nuclear Projects, State of Nevada. 2003. Retrieved May 16, 2008. ^ "DOE Awards $3 Million Contract to Oak Ridge Associated Universities for Expert Review of Yucca Mountain Work". U.S. DoE. March 31, 2006. Archived from the original on July 15, 2007. Retrieved May 16, 2008. ^ "DOE Awards $3 Million Contract to Oak Ridge Associated Universities for Expert Review of Yucca Mountain Work". United States Department of Energy. March 31, 2006. Archived from the original on May 27, 2010. Retrieved 2010-07-14. ^ a b Rodney C. Ewing and Frank N. von Hippel. Nuclear Waste Management in the United States – Starting Over, Science, Vol. 325, July 10, 2009, p. 152. ^ Hebert, H. Josef. 2009. "Nuclear waste won't be going to Nevada's Yucca Mountain, Obama official says Archived March 24, 2011, at the Wayback Machine." Chicago Tribune. March 6, 2009, 4. Accessed 3-6-09. ^ Tetreault, Steve (March 3, 2010). 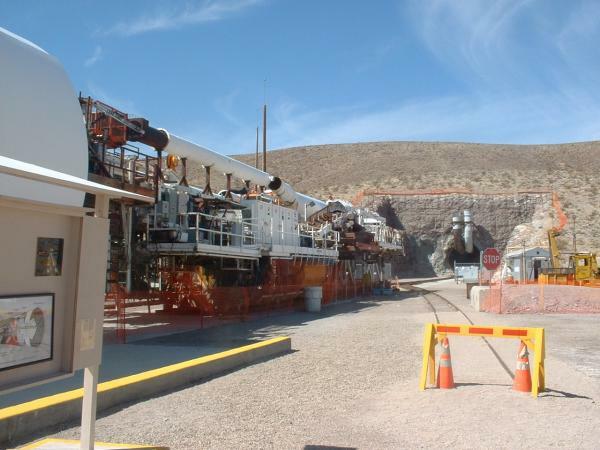 "DOE asks to halt Yucca Mountain". Las Vegas Review-Journal. Retrieved June 9, 2010. ^ Cary, Annette (November 7, 2011). "Washington Files New Yucca Lawsuit". Tri-City Herald. Retrieved September 3, 2011. ^ Vartabedian, Ralph. (August 22, 2016). "Nuclear accident in New Mexico ranks among the costliest in U.S. history" Los Angeles Times. LA Times website Retrieved January 26, 2017. ^ "EPA's Proposed Public Health and Environmental Radiation Protection Standards for Yucca Mountain" (PDF). United States Environmental Protection Agency. October 2005. Archived from the original (PDF) on June 25, 2008. Retrieved May 16, 2008. ^ Wehrum, William (March 1, 2006). "Full Committee Oversight Hearing on the Status of the Yucca Mountain Project". U.S. Senate committee on Environmental and Public Works. Retrieved July 14, 2010. ^ U.S. National Research Council, Committee on Technical Bases for Yucca Mountain Standards. 1995. Technical Bases for Yucca Mountain standards. Washington, DC: National Academy Press. ^ Vandenbosch, Robert, and Susanne E. Vandenbosch. 2007. Nuclear waste stalemate. Salt Lake City: University of Utah Press, 111. ^ "Yucca Mountain". The Environmental Literacy Council. April 8, 2008. Retrieved June 9, 2010. Scientists believe that tuff has special chemical, physical, and thermal characteristics that make it extremely suitable for burying radioactive waste. As long as the waste stays solid and remains deep underground, it should not pose a threat to the environment or to human health as the layers of tuff shield the radiation. ^ Ground water at Yucca Mountain: how high can it rise?. Washington, D.C.: National Academy Press. 1992. p. 191. ISBN 0-309-07669-2. ^ "Earthquake could cause flooding of Yucca Mountain repository". Cyberwest Magazine. September 2, 1997. Retrieved June 2, 2010. ^ Vandenbosch, Robert, and Susanne E. Vandenbosch. 2007. Nuclear waste stalemate. Salt Lake City: University of Utah Press, 12, 106–07. ^ Norris, A.E., H.W. Bentley, S. Cheng, P.W. Kubik, P. Sharma, and H.E. Gove. 1990. "36Cl studies of water movements deep within unsaturated tuffs," Nuclear Instruments and Methods in Physics Research Section B 52 (December 2,): 455–460. ^ "Summary of Yucca Mountain Oversight and Impact Assessment Findings". State of Nevada. 1997. Retrieved May 16, 2008. ^ a b "Top Earthquake States". Earthquake Hazards Program. U.S. Geological Survey. Archived from the original on November 20, 2016. Retrieved March 27, 2010. ^ "Technical Basis Document No. 14: Low Probability Seismic Events". Office of Civilian Radioactive Waste Management. U.S. Department of Energy. June 2004. Archived from the original on January 26, 2008. Retrieved March 27, 2010. ^ "Yucca Mt. adjusts to fault line". Los Angeles Times. September 25, 2007. Retrieved March 27, 2010. ^ Attewill, Fred (September 25, 2007). "US nuclear dump plan in danger after seismic shock". The Guardian. London. Retrieved March 27, 2010. ^ Vartabedian, Ralph (June 6, 2008). "Yucca Mountain safety plan is 'doomed,' nuclear company says". Los Angeles Times. Retrieved March 27, 2010. ^ a b "Transportation of Spent Nuclear Fuel and High-Level Radioactive Waste to Yucca Mountain: Frequently Asked Questions" (PDF). OCRWM, DOE. January 2006. pp. &nbsp, 5. Archived from the original (PDF) on June 25, 2008. Retrieved May 16, 2008. ^ "Environmental Impact Statement for the Alignment of a Rail Line in the Caliente Corridor". OCRWM, DoE. Archived from the original on February 16, 2007. Retrieved May 16, 2008. ^ "Yucca Mountain: Transporting Nuclear Waste May Put Millions At Risk". CBS News. July 25, 2004. Retrieved May 16, 2008. ^ Stoffle, Richard W.; Halmo, David B.; Olmsted, John E.; Evans, Michael J. (February 1990). Native American cultural resource studies at Yucca Mountain, Nevada. Institute for Social Research. p. 29. ISBN 978-0879443283. ^ "Final Environmental Impact Statement for a Geologic Repository for the Disposal of Spent Nuclear Fuel and High-Level Radioactive Waste at Yucca Mountain". Office of Civilian Radioactive Waste Management, U.S. DoE. February 2002. Archived from the original on January 26, 2008. Retrieved May 16, 2008. ^ "Environmental Justice Case Study: The Yucca Mountain High-Level Nuclear Waste Repository and the Western Shoshone". Retrieved July 8, 2010. ^ Catherine S. Fowler; Maribeth Hamby; Elmer Rusco; Mary Rusco (October 1991). "Native Americans and Yucca Mountain" (PDF). Cultural Resource Consultants, Ltd. Retrieved July 8, 2010. ^ a b c Daly, Matthew (August 13, 2013). "Home> Politics Appeals Court: Obama Violating Law on Nuke Site". ABC News. Retrieved August 14, 2013. ^ James M. Hylko and Dr. Robert Peltier, PE (May 1, 2010). "The U.S. Spent Nuclear Fuel Policy: Road to Nowhere". Power. ^ "H.R.3183 – Energy and Water Development and Related Agencies Appropriations Act, 2010". Archived from the original on July 24, 2009. Retrieved June 9, 2010. ^ "Washington state, S.C. file suit on Yucca plans". Augusta Chronicle. Associated Press. July 30, 2011. Retrieved March 14, 2012. ^ James Rosen (March 13, 2012). "Graham wants Yucca fees repaid in rebates to electricity customers in S.C." The Sun News. Archived from the original on March 19, 2012. Retrieved March 14, 2012. ^ NRC, "NRC Publishes Final Two Volumes of Yucca Mountain Safety Evaluation," news release 15-005, January 29, 2015, http://www.yuccamountain.org/docs/nrc_press_release-0115-2015.pdf This article incorporates text from this source, which is in the public domain. ^ NRC, "NRC Staff to Prepare Supplement to Yucca Mountain Environmental Impact Statement," news release 15-016, March 12, 2015, https://www.nrc.gov/docs/ML1612/ML16127A067.pdf This article incorporates text from this source, which is in the public domain. ^ Congressional Research Service (December 23, 2015). "Nuclear Energy: Overview of Congressional Issues" (PDF). Archived from the original (PDF) on January 30, 2013. This article incorporates text from this source, which is in the public domain. Ialenti, Vincent (2014). "Adjudicating Deep Time: Revisiting The United States' High-Level Nuclear Waste Repository Project At Yucca Mountain". Science & Technology Studies. 27 (2). Macfarlane, Allison M.; Ewing, Rodney C., eds. (2006). Uncertainty Underground: Yucca Mountain and the Nation's High-Level Nuclear Waste. MIT Press. ISBN 9780262633321. Set of articles by technical experts on numerous scientific and technical issues that are unresolved; presents arguments that Yucca Mountain has not been and may never be shown to be an appropriate repository for high-level radioactive waste. Does not pass judgment on suitability of the site. D'Agata, John (2011). About a Mountain. W. W. Norton. ISBN 9780393339017. Focuses on the mountain as well as the city of Las Vegas. Review: Bock, Charles (February 26, 2010). "American Wasteland". The New York Times. Wikimedia Commons has media related to Yucca Mountain nuclear waste repository.